Instructor User Guide Sign-UpHow do I create a meeting? 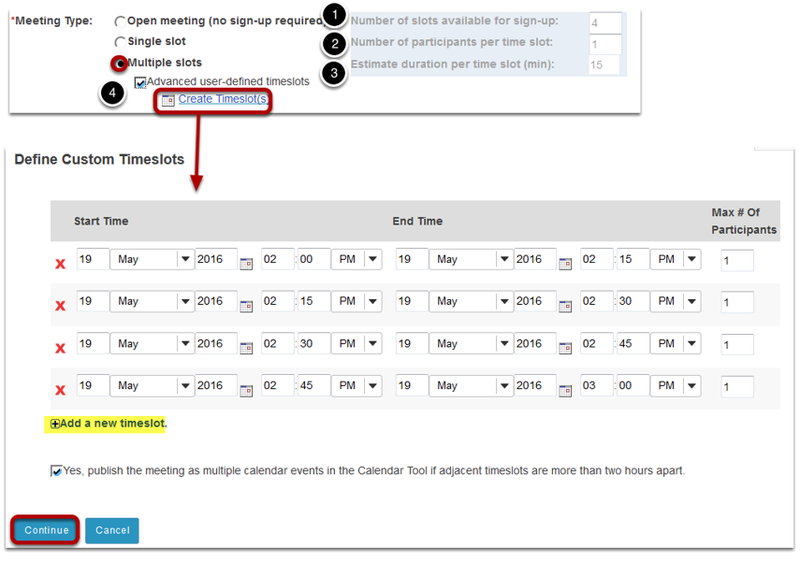 Fill out the date (with, optionally, the date picker) and the time showing when the meeting will begin and end. Note: The 24-hour clock is not available, so AM and PM must be used. 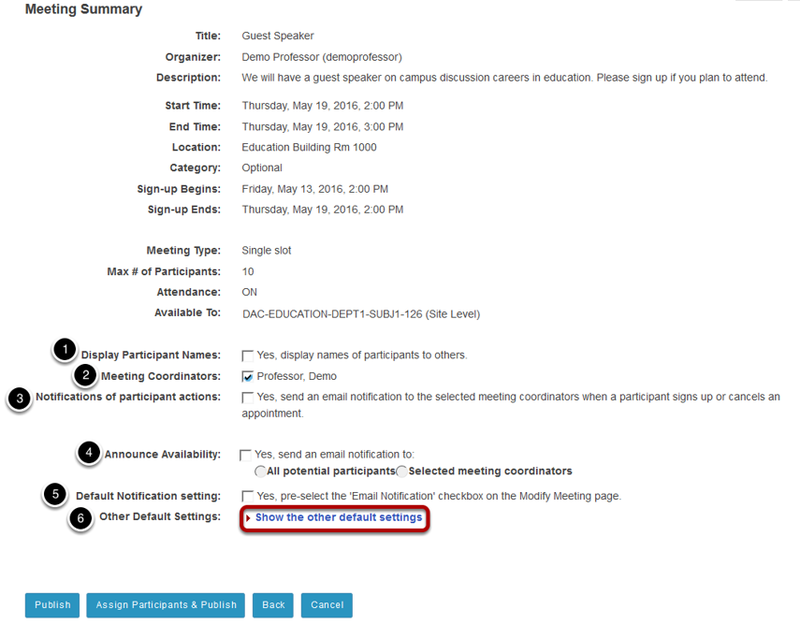 Publish to Schedule: "Yes" means that the meeting will appear on this site’s Schedule or Calendar tool, regardless of attendance status of the current user.